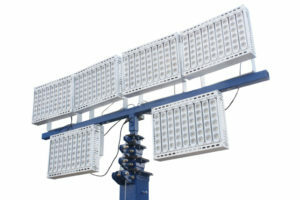 The RT Series high lumen output LED flood light comes in many versions from 150 watt to 1,500 watt. 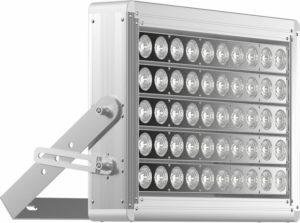 They are a versatile high output high lumen led light that can be used to illuminate many applications inside and outside of buildings. 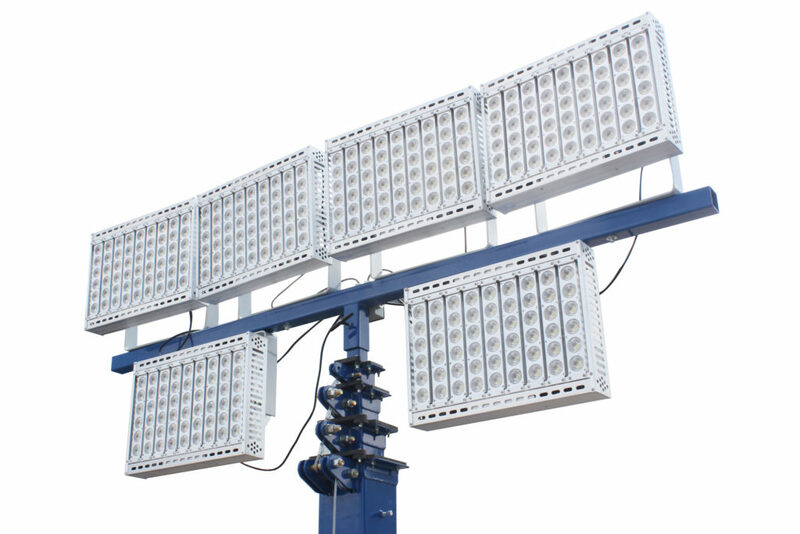 Commonly used for light towers, mast lighting, stadium lighting, building parameter lighting. Adjustable Swivel arm to set to your desired angle. 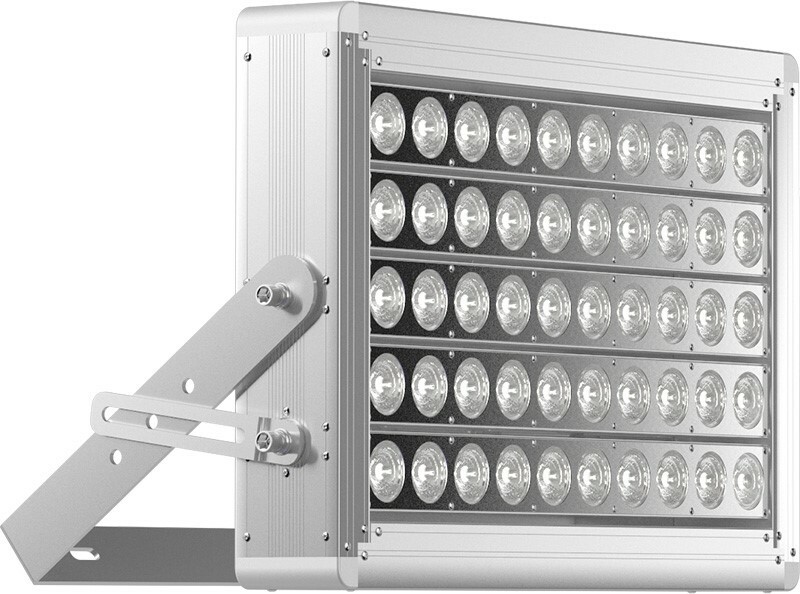 Bridgelux LED used with high output meanwell drivers that deliver 150 lumens per watt. 120 to 277 volt. IP66 rated lighting for harsh environments. Listed below are 4 of the most common versions. 200 watt led with 30,,000 lumens, 300 watt LED Flood with 45,000 lumens, 400 watt led with 60,000 lumens, 500 watt led with 75,000 lumens. ETL listed. IP 66. 80,000 hrs., 5 year warranty.